The Renewable Energy Target has driven a wind energy boom in Australia. And all that additional renewable energy has resulted in increased competition in the wholesale electricity market. What does that mean for the average Australian? In theory, more competition among generators means lower prices. New modelling by Sinclair Knight Merz puts a figure to the benefit. Case study analysis of the January heatwave shows that renewable energy (primarily from wind farms) cut electricity prices by 40 per cent. Here’s RenewEconomy‘s Giles Parkinson with a deeper look at the SMK study. View the original article. Attempts by the fossil fuel lobby to downplay the impact of wind generation during the recent heatwaves in southern Australia has been contradicted by a new study, and by recognition from one of the biggest gas producers that low prices in the recent heat wave had caused it to write down the value of some of its assets. There was a large campaign after the recent heatwaves in Victoria and South Australia condemning the role of renewables in meeting demand. Several studies, here and here, show that solar had a big impact on reducing the level of demand, and prices, and a new study by Sinclair Knight Merz suggests that wind energy did the same. 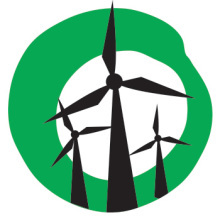 The new study, commissioned by New Zealand-based renewable power giant Meridian and its green energy retailer PowerShop, newly established in Australia, suggests that wind contributed to 6 per cent of overall supply by volume in Victoria and South Australia, and as a result that reduced average prices over the 7-day period by more than 40 per cent. SKM said its analysis is likely to be conservative because of the way it did its modeling. It noted that the elecgricity market experienced some price spikes, but this was mostly associated with sudden outages from large thermal generation (coal and gas). “We conclude that wind generation is likely to have significantly reduced the price impact brought about by sharply rising demand during the heat wave period,” SKM wrote. “Wholesale electricity prices are set every 30 mins by finding the plant to supply the last bit of demand at the lowest price (at which price that plant will run). 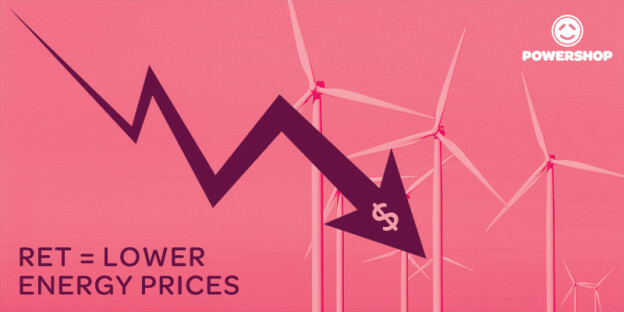 Once built, wind farms will run at a price of ZERO … so they never make the wholesale price more expensive and they reduce wholesale prices significantly when they run. So LRET uses small volumes of wind reduce spot prices for the whole market, meaning that savings for customers far outweighs the cost of LGCs. Meanwhile, anti-renewable lobbyists continue to try and demonise wind. Phil Barresi, the head of the Energy Users Association of Australia, wrote in the lobby group’s newsletter (and in the AFR). No kidding! Renewable energy types suggest this is a circular argument, because if wind depresses pool prices, particularly in SA, it logically follows that wind generation will be greater during periods of low-moderate pool prices. “This argument is about as sensible as saying people walking around with umbrellas cause it to rain — which we all know is true as every time I see people with umbrellas up it’s raining,” one executive said. Again,no kidding! That has always happened. However, it is no longer such a badge of honour for the gas fired generators because the prices they get when these events happen (and they happen less often) are much lower than previously. This is born out by results of EnergyAustralia released overnight, which conceded that the lack of a price surge in the recent heat-waves prompted it to write down the value of some of its gas-fired generators.